Second Canyon Trail winds through the temperate rainforest at Capilano River Regional Park in North Vancouver, British Columbia, Canada. 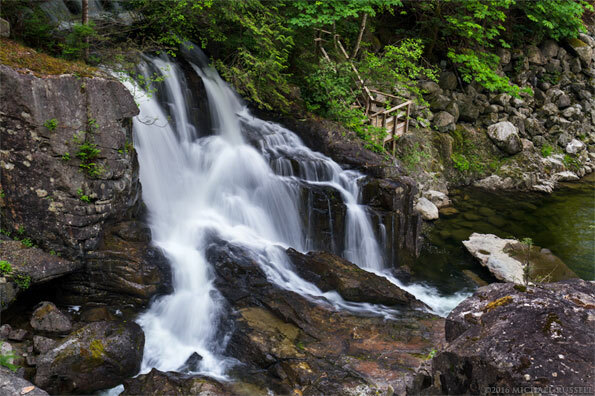 The lower part of Capilano River Regional Park is one of those spots that many tourists likely miss on the way to see the Capilano Reservoir and Cleveland Dam. Below Cleveland Dam you’ll find the Capilano River Hatchery and Capilano River Regional Park – but the left turn into the park is easy to miss (and I have, many times). I’d been to the hatchery before, and photographed Herons foraging along the river and a few other things, but I had never really hiked many of the trail network in the park. In May I visited this park again hoping to get a better idea of the trails in the area and what views they may offer. The image above is from the Second Canyon Trail as it nears a viewpoint where you can see a waterfall, the Capilano River, and the Cleveland Dam from a much different perspective than most are used to from the top of the dam. The viewpoint at the terminus of the Second Canyon Trail is also a good spot to look at a beautiful waterfall flowing into the Capilano River. I am not sure of the origin of the water in these falls (or the name, if it has one). It may be related to the Metro Vancouver water supply, of which Capilano Reservoir provides 40%, or perhaps to do with the hatchery. Natural or not, it provides a relaxing scene from the viewpoint platform. A more impressive waterfall is formed below the spillway at the base of Cleveland Dam. While this is basically a waterfall at the bottom of a concrete chute, I tried to make this view look as natural as possible. Capilano Canyon is quite narrow from the perspective of the viewing area, so a wide angle view of the “waterfall” is not possible from this perspective. 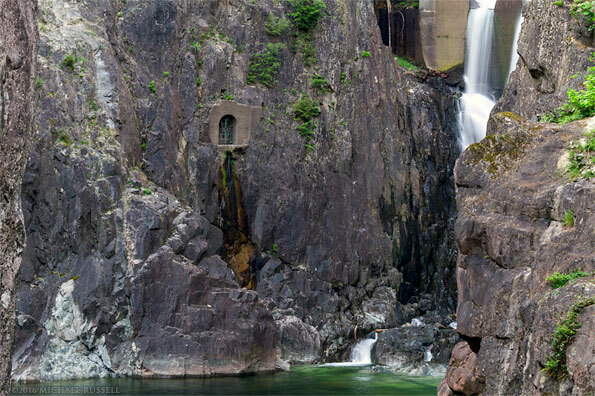 During much of the year a large volume of water flows down the spillway, and this waterfall doesn’t even likely exist – lost in sheer volume of water coming over the dam. 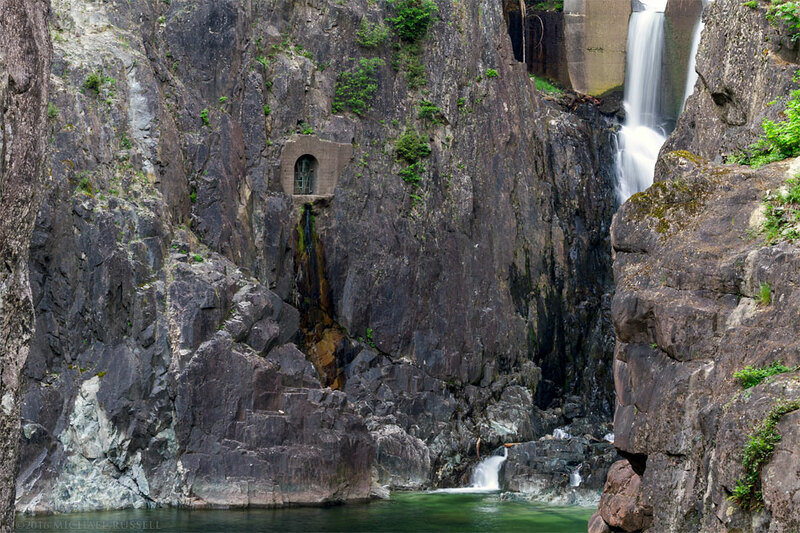 One interesting item of note in the canyon is the existence of this “door to nowhere” over looking Ring Bolt Pool and the base of Cleveland Dam. 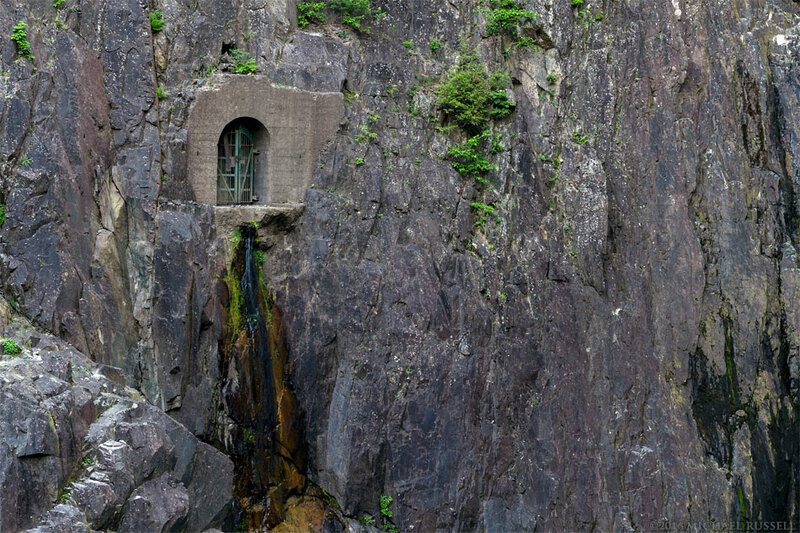 This door protects the end of a tunnel built during the construction of Cleveland Dam in the 1950’s. Originally there was a ladder from the base of the canyon up to this door to allow access for workers. Now it is an area where the dam and canyon can be visually inspected as required. I’ll have more photographs from Capilano Canyon soon. I had planned on seeing much more of the park when I was there, but photographing all the subjects I encountered took more time than I’d anticipated – which is not a bad thing at all. 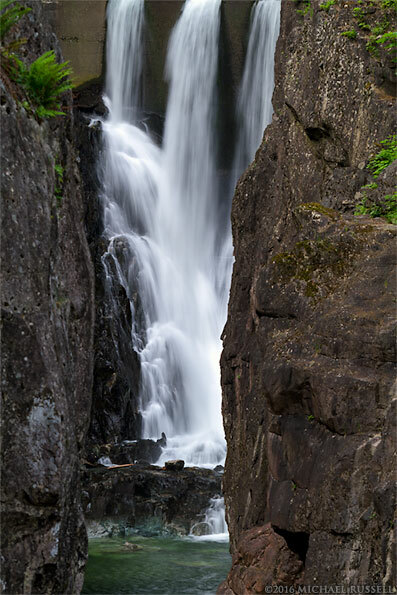 A relatively small area that can keep me photographing for 3-4 hours is a spot to revisit! 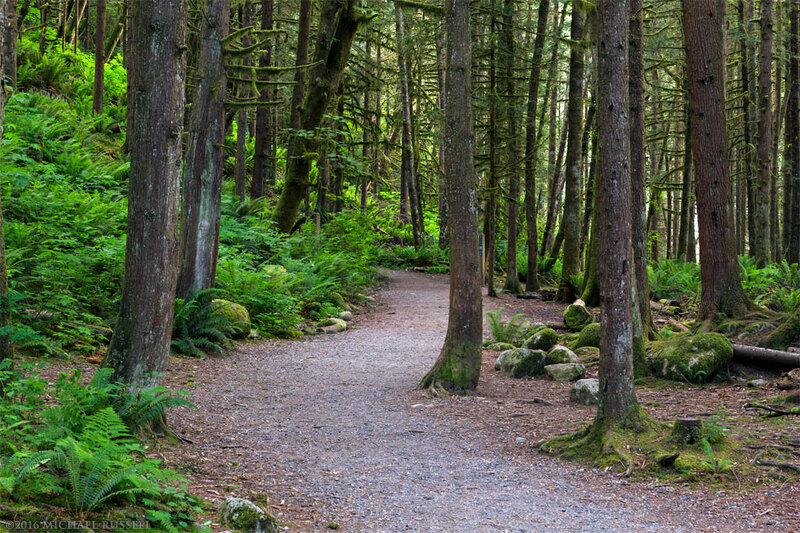 For more photographs of Capilano Regional Park and the surrounding area visit my Vancouver Coast & Mountains Gallery. 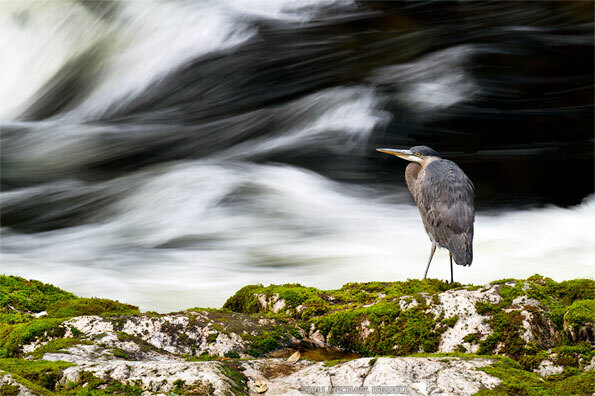 I made this photograph back in October at the Capilano River in North Vancouver, British Columbia. 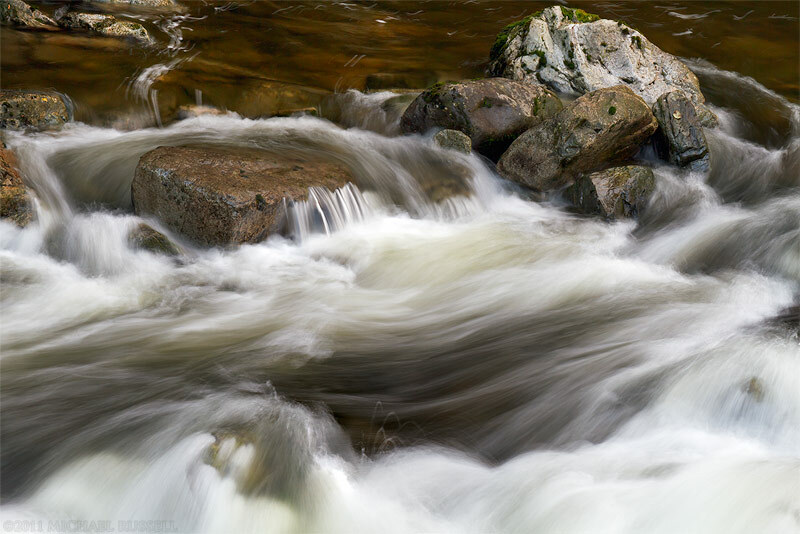 I like how the water flows slowly around these rocks while the river rushes by in the foreground. You may remember one of the earlier photos of a Great Blue Heron (Ardea herodias) that I posted from this location a few weeks ago. 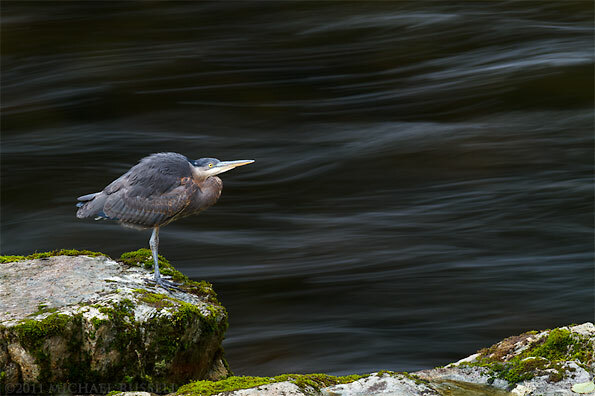 The Heron photo showed how a small tweak in shutter speed can make a huge difference in the photographic result. In this case, a shutter speed of 1/3 of a second gave me just the amount of water blur that I was looking for. Enough to show the water “in motion” but not so much as to blur it to the point of abstraction. 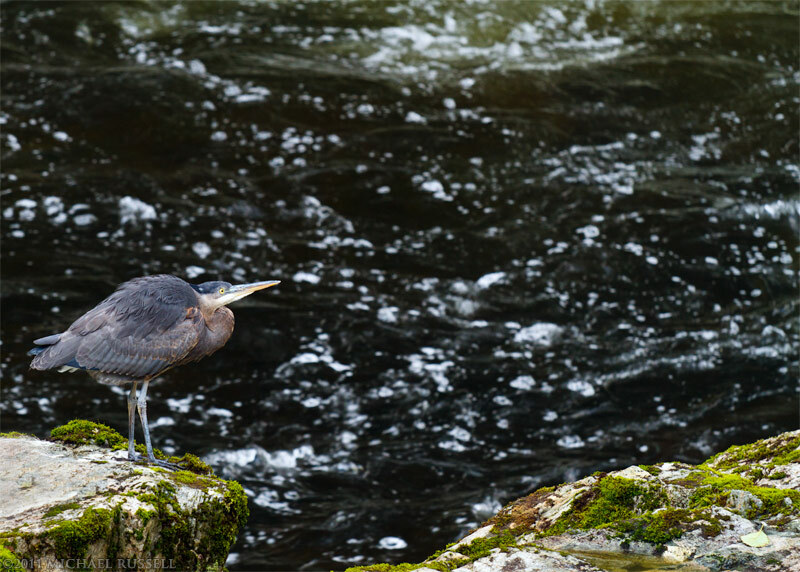 With my 70-200mm f/4 L IS USM lens I was able to isolate this part of the river for the photograph. 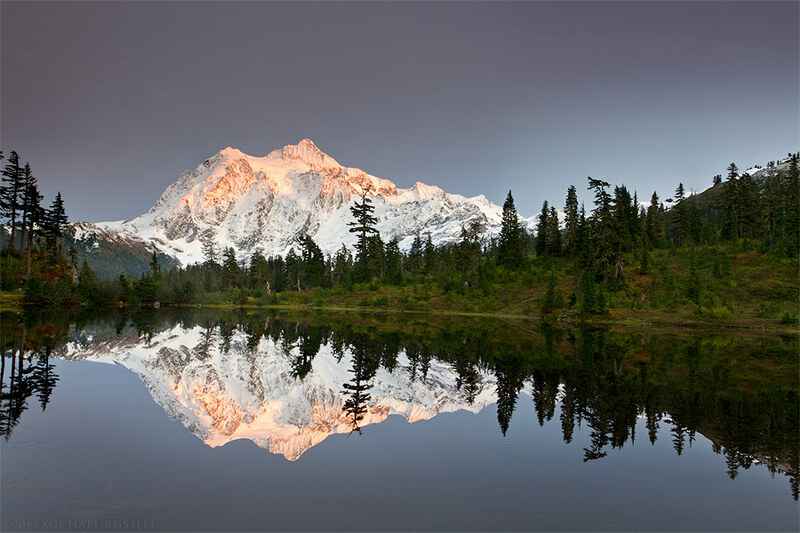 Another example of why I often use long lenses for landscape photography!